You're just about ready to get in on the action, but first, you must be logged in to play. If you've already registered with Vegas Slots, enter your e-mail and password at the top of the page, then click the Login button. If you're a new user, first click here to register - it's fast, free and you'll be able to play instantly afterwards. Choose from a variety of themes in our Vegas Slots exclusives, complete with free spins and unique bonus rounds. 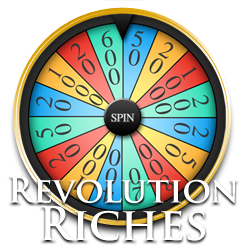 Revolution Riches is a 5 reel video slot machine offering a "Wheel of Fortune" style bonus round. 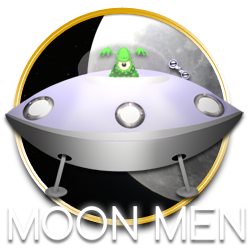 An alien/space themed game, Moon Men offers both a free spin round and potential massive wins through the bonus round. 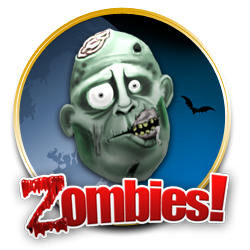 Free spins with extra brain bonuses, wild symbols and big payouts if you can cure the infected in Zombies bonus feature. 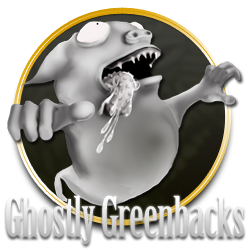 Ghosts, demons and graveyards await you in Ghostly Greenbacks, complete with free spins and frequent bonus rounds. 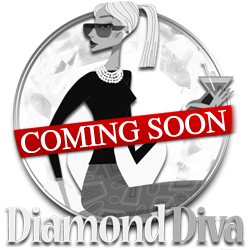 Beer, martinis and shots await - see if you can drink the bartender under the table to win big bonuses. 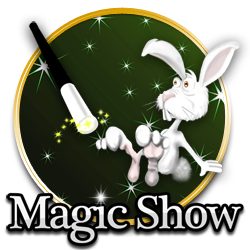 A campy magic themed slot complete with free spins at a 3x multiplier, and a bonus round that never needs to end. 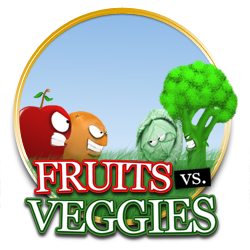 It's fruits against vegetables in this classic video slot, complete with free spins at 3x and a quick bonus round. 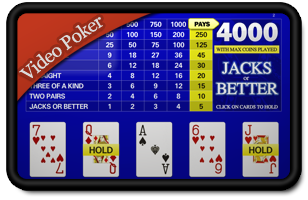 Or enjoy our classic table games and video poker right in your browser. 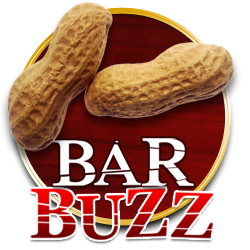 Classic single hand Jacks or Better video poker, win up to 4000 coins! 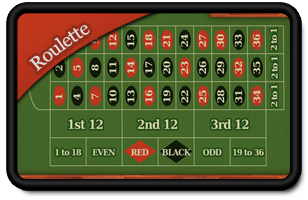 Single zero (European) roulette with persistent betting on the felt. 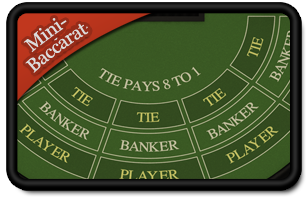 Easy to play mini-baccarat, no knowledge of the rules required. 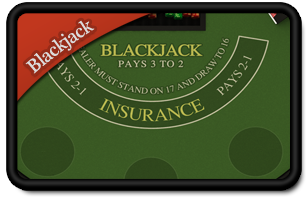 Classic blackjack allows for 2 splits, doubling on hands valued 9-11, and Blackjack pays 3 to 2. 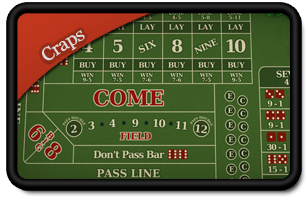 Our classic craps game comes complete with help on betting spots and options while you play.